This is your opportunity to see Mount Vernon like a local. Even local residents are unaware of the rich history we have here in Mount Vernon, outside of the famous estate of George Washington. Our tour will begin with a special tour of Gunston Hall, home to George Mason, considered to be the Father of the Bill of Rights. 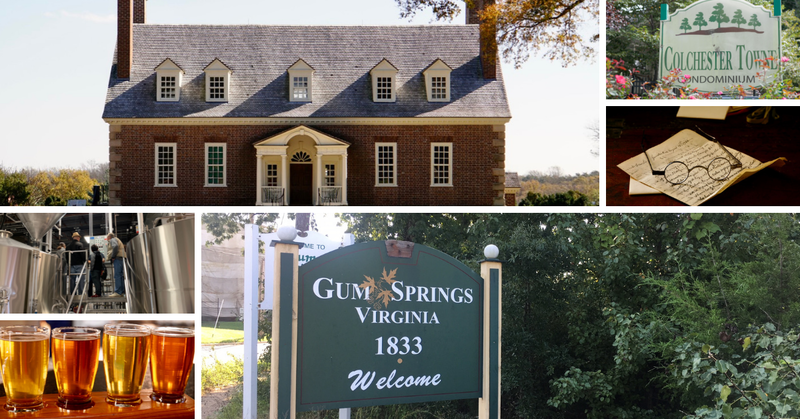 From there we’ll visit the Gum Springs Museum with GSM President Ron Chase and learn about one of the first communities of freedmen founded by West Ford, a freed slave and former foreman to the house servants at Mount Vernon. Driving past Fort Belvoir, established as Camp A. A. Humphreys during World War I, you’ll spy the Woodlawn Quaker Meetinghouse, home to abolitionists who supported the economic independence of free African-Americans in Woodlawn and Gum Springs. We will conclude our day with a tour and beer tasting at one of Fairfax County’s award winning breweries, Fair Winds Brewing.